Many different factors affect how your customers make purchasing decisions. How do you encourage sales at your eCommerce store over your competitors? Find a way to influence your customer’s opinion. One way to encourage purchases and reassure customers that they’ve made the right decision is through social proof. By nature, humans look at what other people are doing to make decisions – we follow the crowd. If everyone else is doing it, we should be too. Social proof is the psychological phenomenon of people’s reliance on the actions of others to determine what is right and what is wrong. Essentially, it is the evidence that other people have purchased something, or interacted with your store and found it valuable. Social proof also helps to convey trust to your customers, by helping to take away some of the elements of uncertainty a customer may have when shopping online. By showing that your eCommerce business has many satisfied and happy customers provides evidence that your business is legitimate to potential new customers. The goal of this tactic is to show that other customers have endorsed you in order to increase your sales to prospective customers. Studies show that 70% of customers trust the opinions of others posted online. Social proof can take many different forms including user generated content, reviews, and more. If used tactfully, it can be used to the advantage of eCommerce businesses to help encourage customers to make purchases. Influencer endorsements are seen everywhere now on social media – although one traditional example you might be most familiar with is with seeing influencer endorsements on the back of books. Influences are sought after as sponsors for a product because they have large social media followings – they are as their name suggests, influential. 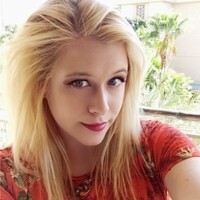 Since influencers already have an established reputation, the things they associate themselves with are seen in a positive light. 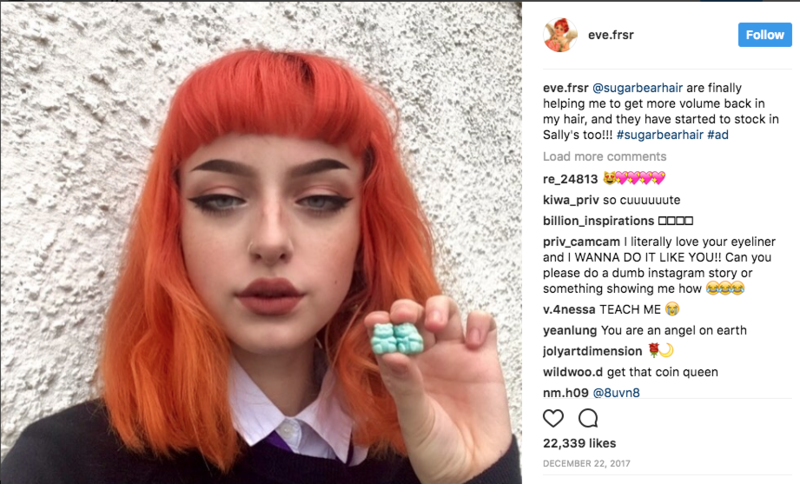 Sugar Bear Hair makes a gummy vitamin product, and they regularly use Instagram influencers (celebrities or otherwise that have a large group of followers on Instagram) to promote their products. Let your numbers do the talking. How much money have people saved using your service? How many people have downloaded your workout video? How many projects have you completed? How many social followers do you have? Show off your strengths. For example, if your eBook has been downloaded over 10,000 times, let your customers know. It’s okay to show off metrics you have that establish your success and credibility. Email marketing service MailChimp shows off the number of customers they have, and the total amount of emails they send each day. Below that, they also include some of the places they have been featured. On the Customer Paradigm website we show off a counter of how many projects we have completed – we are proud of our work and want to let our clients know. The classic form of social proof in eCommerce is utilizing reviews. There is tons of data that supports the use of ratings and reviews on your site can increase conversions. 85% of customers trust online reviews as much as a personal recommendation. Reviews are powerful because they are objective; reviews show someone outside of your company providing an opinion on your products or brand. You can display customer reviews and ratings throughout your website, as well as utilize reviews from a 3rd party website such as Yelp. Reviews become even more powerful when they include star rating and photos. The star ratings show that a large population is being accounted for in the review pool, thus increasing the perceived objectivity. Photos allow potential customers to see how other customers are using the product in their own lives rather than a staged product photo which in turn helps them imagine how the item might fit into their lives if they were to purchase it. 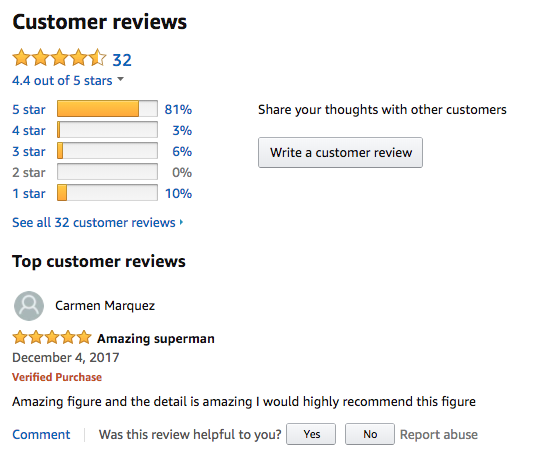 Amazon includes a pool of all the star ratings, as well as the options for users to leave photos with their reviews. Social media gives your customers a voice unlike anything ever seen before. Interaction with your brand’s social media accounts shows a positive relationship between your customers and your brand. Not sure how to get started with social media for your business? Check out our guide. On social media, social proof can take different forms depending on the platform. For example, customer posts to your Facebook page or tweets to your company Twitter handle are types of direct public feedback. Legitimacy can also be seen through your amount of social engagement – the number of followers, amount of likes and retweets, and shares are all metrics that show engagement and can act as social proof. Want to increase your social engagement? Make sure you are writing effective posts. Southwest Airlines generates tons of customer engagement on their Twitter page. 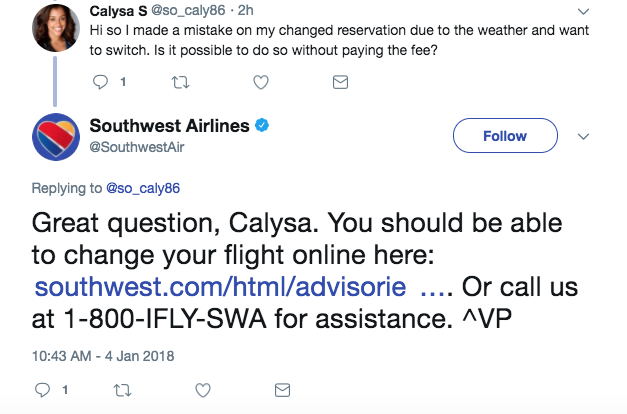 Customers use the page to tweet a wide range of things to the company and Southwest responds to each customer’s tweet – showing social proof that this is a company that is engaged with and cares about their customers. We predict that utilizing user-generated content will be big this year. Your customers want a voice and encouraging submission of content from your customer is a great way to generate an organic buzz about your brand. Customer submitted photos and videos are a way to show your product in action. Few things are as powerful to a potential customer as seeing someone like them using the product they are thinking about buying. You can encourage user-generated content to be submitted through your social media platform. For example, Birchbox lets customers know to tag them in Instagram posts that contain products from their boxes. Birchbox then connects their Instagram feed to their homepage to display the user submitted photos. 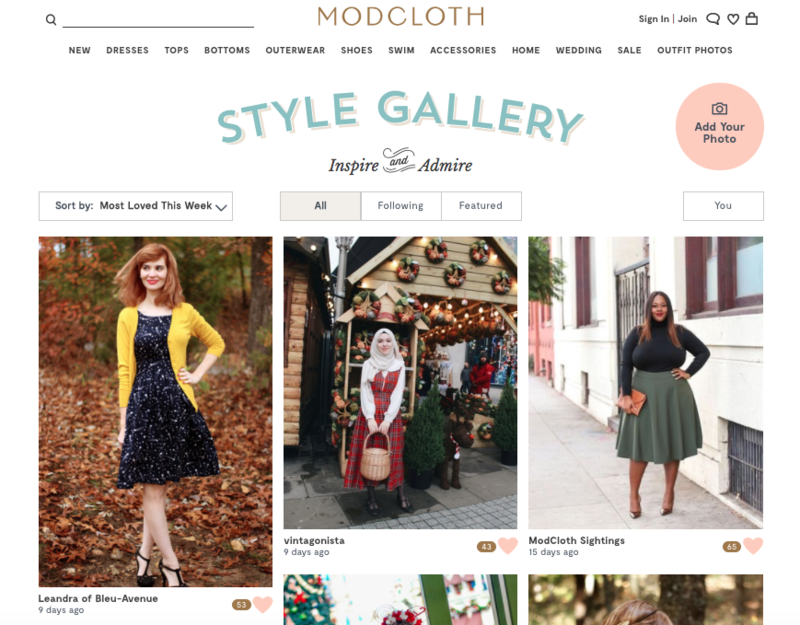 Online clothing retailer ModCloth is well known for their interaction with their customers and their use of user-generated content throughout their website. They have an entire section of their site – the style gallery, dedicated to displaying customer’s outfit photos. A media showcase is a classic example of social proof – showing off what publications your brand or product has been featured in is common in any industry. Showing your customers what coverage you have earned from the media is a great way to prove that you are a well-known and reputable brand. Snack subscription box company Graze shows off their media coverage locations under some customer testimonials on their homepage. Social proof can be a very powerful psychological factor to encourage customers to purchase. Consider incorporating social proof throughout your landing pages, and product pages – but be careful not to overdo it and make sure all social proof is genuine or the benefits will be lost. Need help implementing conversion-building tactics on your Magento eCommerce store? Connect with a member of our strategy team today.